Synopsis (Goodreads) How many times would you die for love? Never Apart was a fascinating quick read for me as I was eager to find out what was going on! With twists and turns aplenty, I found this book to be completely captivating. Our MC’s are Grace and her boyfriend Ander who die on repeat every five days, trapped in an alternate reality they wake, they run and they die always at the hands of their former friend, Finn. They fall in to a parallel world with the same outcome every time but the difference is they come back a different version of themselves. In their latest fall, things are different, Ander hasn’t found Grace and her twin Jem, who has been absent in the other falls is again with the family; things have never changed so it has left them confused. In every alternate reality they try to work out a way to change the end result but they have never succeeded, I don’t want to reveal too much to avoid spoilers but it was a thrilling mystery that was done very well and kept me engrossed from the very first page. All of the characters were written well and played a pivotal role in the overall story, Grace was such a ‘real’, likeable character. I adored her! She is a shy girl with anxiety and she was extremely relatable. Ander is a character with a lot of issues, he was my least favourite, Finn was wonderful! He had the most depth and despite not instantly liking him by the end of it all, I loved him and his sense of humour. Never Apart is wonderfully written with a superb premise and fascinating characters, and an alternating now and then timeline which I don’t tend to enjoy but it worked well for this book. 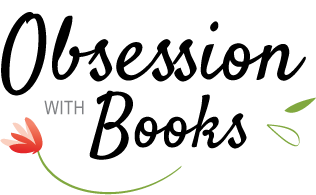 I can’t fault Romily Bernard's writing and her creative, imaginative story-line, it was a fast paced read that really left me surprised at the end of it all, it was wonderfully executed. My only problem with this book was I didn’t find the ‘then’ sections as engrossing as the ‘now but I still enjoyed it for the most part. 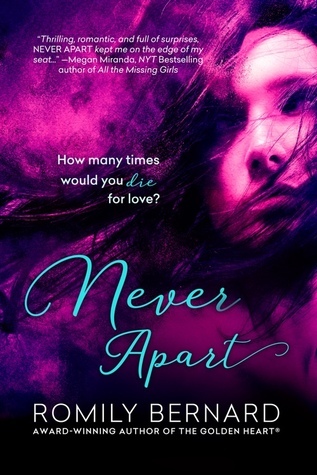 Thank you to Entangled Teen via NetGalley for the opportunity to read and review Never Apart.